As a fun idea i thought i should dig up a few old posts that has been “buried” since the beginning of this blog. So i start with the very first post i made – the start of this blog – that was back in 2008 posted june 29th – and will tell yall that i`m a vanilla freak. Here is also my take on the cocktail that won the Angostura Global Cocktail Challenge in 2008 and was created by Valentino Bolognese, which gives me a chance to dig up another post from that time. 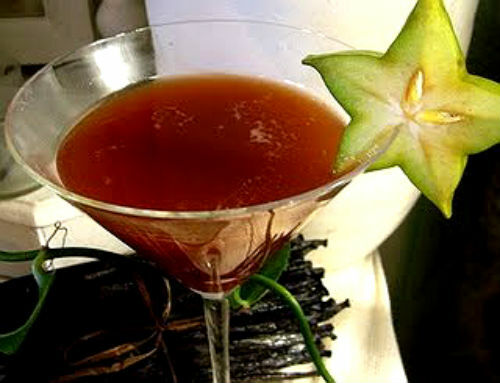 There is another famous cocktail too – the Trinidad Sour which is a variation on the Trinidad Especial and was created by Giuseppe Gonzalez and that one is a VERY nice cocktail and contains 1.5 oz of Angostura Bitters. Since then i have learnt so much about cocktails and spirits, it´s fun to dig up old posts like this one. In this blog i`m going to write about my drink (and occasionally some food) experimenting, rums and other spirits and liqueurs. Its going to involve quite a bit of Tikidrinks. But also the making of syrups, bitters and infusions…and whatever else i may come up with. I do this for fun and i hope you`ll have fun too! Its something special about Vanilla..maybe its the warm sensual fragrance and flavor of this beautiful exotic tropical climbing orchid…or the beauty of the flowers which only opens for a few hours in the morning. Maybe its the rich fragrant and oily darkness of the cured beans which at first are green. Vanilla flowers once a year in a period of about two months. 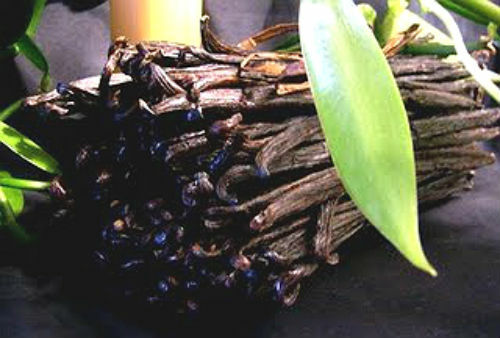 I love Vanilla and i always have my favorite beans at home which are the Tahitian beans, from vanilla tahitensis. They are fatter, more “oily” and somewhat shorter than other beans and have a very special floral aroma and flavor. I`ve made my jar of Vanilla sugar with these beans since many years back. I mix 1 pack each of Tate&Lyles – or Billingtons dark and light Muscovado sugars with 3-4 Tahitian beans which i split on the length and scrape out all those lovely tiny black seeds which i mix with the sugars. The longer they stay in the sugar the more flavor the sugar takes on from the beans. When the sugar is finished i just add some more and it goes on and on.. I also make my Vanilla syrups using 1:1 ratio sugar and water and add a couple of split beans to the pan, let it simmer and then cool before i discard the beans (rinsing them and moving them to the sugar jar that is) and bottle my syrup. Such a brilliant idea is one i cannot resist trying out. So i made both the cocktail and then the Vanilla ice cream with some of the cocktail poured over it..and indeed this cocktail tastes good! It wasn`t that bitter as i first expected but rather aromatic and spicy with a heavy dose of clove. On the ice cream it was a real treat! 30 ml Angostura Aromatic Bitters. Shake hard and long, and strain in a Martini glass. A cocktail and a dessert in one, i remember this was a real treat. Do you like vanilla and what do you do with it? 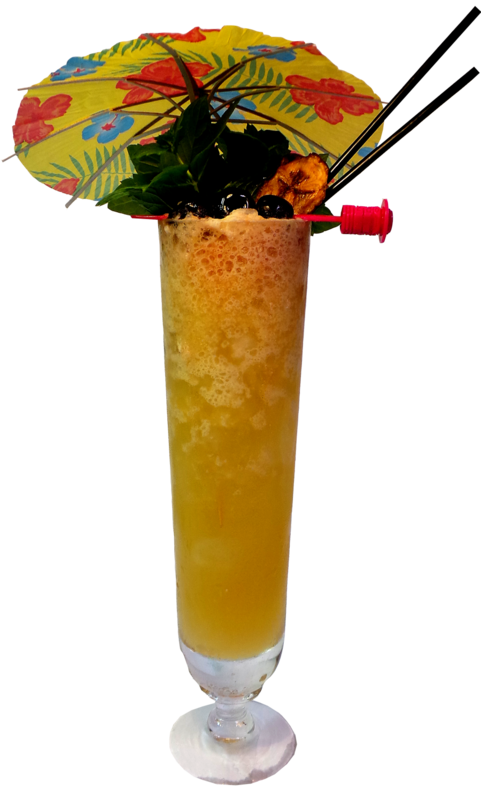 In this blog i`m going to write about tiki drinks, cocktails, rums and other spirits and occassionally throw in a food recipe in the “pages”. 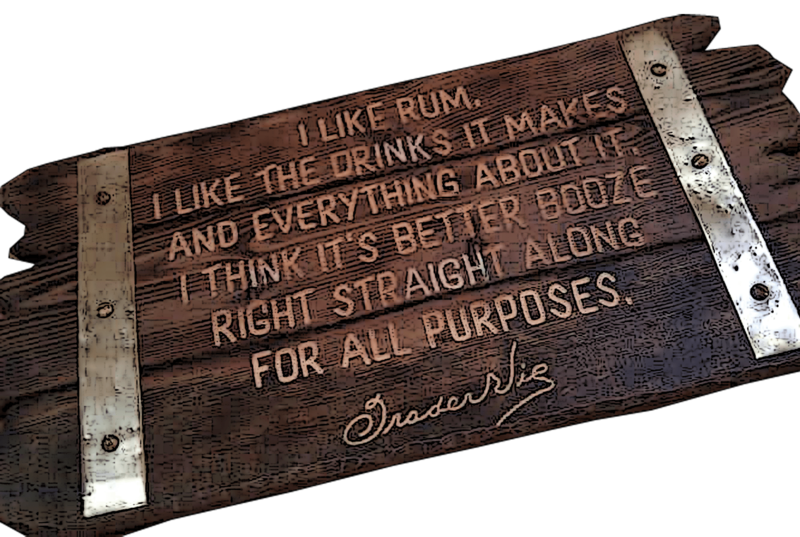 Its going to involve quite a bit of rum and tikidrinks…but also the making of syrups, bitters and infusions…and whatever else i may come up with. Its something special about vanilla..maybe its the warm sensual fragrance and flavor of this beautiful exotic tropical climbing orchid…or the beauty of the flowers which only are open for a few hours in the morning. Maybe its the rich fragrant and oily darkness of the cured beans which at first are green. Vanilla flowers once a year in a period of about two months. 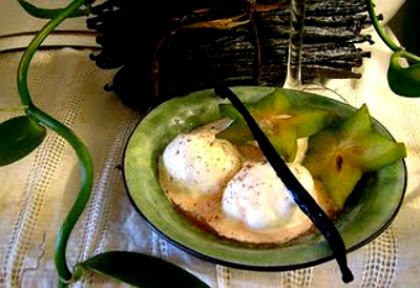 I love vanilla and i always have my favorite beans at home which are the Tahitian beans, from vanilla tahitensis. They have a very special floral aroma and flavor. I`ve made my jar of vanilla sugar with these beans since about 10 years now. I mix 1 pack each of Tate&Lyles – or Billingtons dark and light Muscovado sugars with 3-4 Tahitian beans which i split on the length and scrape out all those lovely tiny black seeds which i mix with the sugars. A friend to me did mention that the Trinidad Especial cocktail, made by Valentino Bolognese who also won the European Angostura Cocktail Competition 2008 with this unusual cocktail – which indeed is a very special cocktail – using no less than 30 ml of Angostura bitters – is nice poured over vanilla ice cream.. Such a brilliant idea is one i cannot resist trying out. 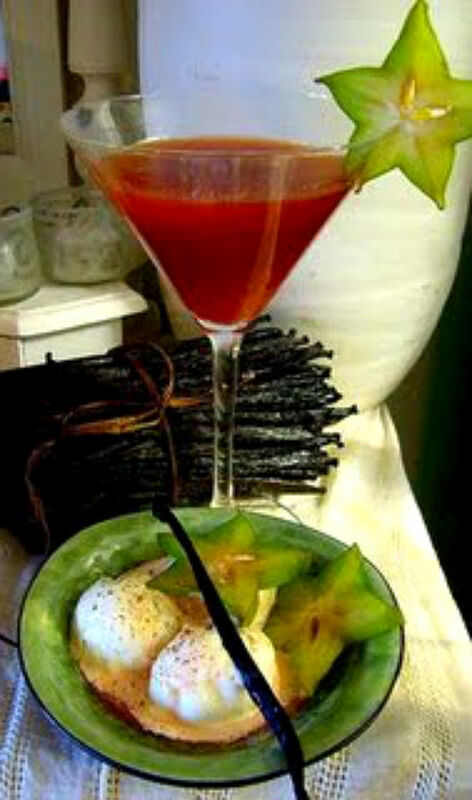 So i made both the cocktail and the vanilla ice cream with some of the cocktail poured over it..sounds a bit crazy but that´s how it was supposed to be done…and indeed this cocktail tastes good! It wasn`t that bitter as i first expected but rather aromatic and spicy with a heavy dose of clove flavor. On the ice cream it was a treat.